leaves my skin feeling firm and tight, I have noticed a great difference when using. This improves the contours of my face and make it look so smooth, plump and youthful! I'm in love. have noticed more firmness over time, love it. I have oily, sensitive and acne prone skin. I have tried countless creams and my skin would always become very oily, and my pores look huge. However, this cream keeps my skin from becoming oily, and my pores don't look visible. I was hesitant to try this cream, but after buying the trial size, I fell in love and had to buy the large size. 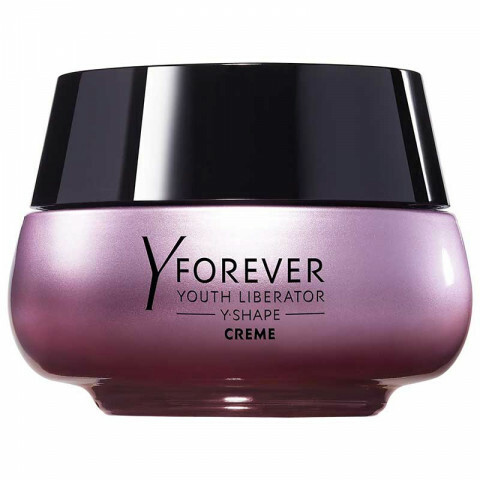 Love the Y-Shape Cream , my skin is very sensitive and usually break out on new product . I have tried a lot of product out there to include more expensive cremes and serums. This Creme is light while applying to your skin, but feels soothing, hydrating right after you apply . The perfect cream. It's a shame it's so expensive but you get what you pay for. My skin is plumped, radiant, youthful with fine lines faded after using this bad boy at night. The best aging cream I've ever used. It keeps me look younger and fresh.